In 1988, DWRK began airing on the FM band in Metro Manila under ACWS – United Broadcasting Network, Inc. Prominently known as 96.3 WRock, the station carried a “lite rock” format of programming since its conception. The radio station then was purchased by the Fred J. Elizalde Group of Companies through Cebu Broadcasting Company in October 2008. Two months later, the station moved from FEMS Tower 1 in Osmeña Highway to its new base at the Manila Broadcasting Company in CCP Complex, Pasay City, where it shares facilities with its new sister stations – DZRH, Love Radio, Yes FM, Radyo Natin, and Aksyon Radyo. On May 18, 2009, DWRK was re-branded, thus, gave birth to 96.3 Easy Rock; ending the 20 years of broadcasting under the WRock brand. Easy Rock presents the cream of adult contemporary music from the 70’s and 80’s in a soothing mix with soft rock hits and rhythmic alternative sounds, while accommodating today’s powerful ballads and lush vocal melodies. Currently, 96.3 Easy Rock is considered the #1 FM radio station that people listen to at-work or in the office. The radio station is proud of its less talk, more music mantra, accepted widely in public and private offices, as well as drive time radio listeners. In its sixth year of radio broadcasting, 96.3 Easy Rock managed to establish a new spectrum of niche market for radio listeners, by understanding their habits and catering to their values, needs and auditory desires by playing songs that will make them Remember Someone Today. Easyrock presents the cream of adult contemporary music from the 70’s and 80’s in a soothing mix with soft rock hits and rhythmic alternative sounds, while accommodating today’s powerful ballads and lush vocal melodies. With out sights trained on the C1 and broad C2 markets, Easyrock’s programming directly targets car owners, young executives, and working class professionals – particularly office employees and those working in establishments with a middle class to posh backgrounds such as banks and boutiques. The primary market includes those between 30-40 years old, and people who are older but still prefer listening to a station with a soft, adult contemporary format. Following the introduction of more current easy-listening hit tunes, we expect an expanded audience range to include the 20-30 age bracket. While the station caters to both men and women, female listeners slightly outnumber the males. For radio listeners at work or on the road. The perfect soundtrack for the office or inside the car. Consistent with the established brand of WRock, which is “less talk, less noise, more music,” Easyrock is generally an easy-listening station. Pleasant-sounding throughout the day, with “noise” kept at an acceptable level. Songs are relaxing and set the mood, but are very engaging and popular C1 and C2 audiences. 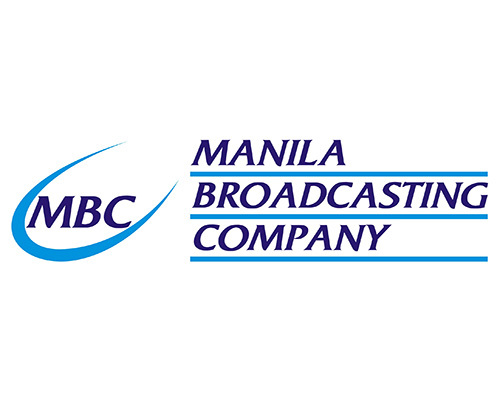 Manila Broadcasting Company (MBC) is the largest radio network in the Philippines under the umbrella organization of Fred J. Elizalde Group of Companies. MBC network covers virtually every city, province, town and municipality in the Philippine archipelago. MBC operates under seven (7) different programming formats namely: DZRH, Love Radio, Yes FM, Easy Rock, Hot FM, Aksyon Radyo and Radyo Natin. Its flagship AM station, DZRH is the Philippines’ 1st and the oldest radio station. It is also the only nationwide, via satellite, AM station in the country, while its flagship FM station, Love Radio is the current #1 FM station in radio ratings in Metro Manila and several key cities around the country. Love Radio, YES FM and Easy Rock are the three top-rated FM network in the country today. Love Radio utilizes an adult contemporary music format, which combines new chart-topping hits with familiar songs that are acknowledged as timeless favorites in order to attract listeners from virtually every age and economic background. On the other hand, Hot FM is the Company’s provincial pop format FM station. It commands a solid following among the youth market. Aksyon Radyo is a radio network of provincial AM stations that focuses in news/talk format as provincial AM stations in key cities using predominantly local dialects. The company also operates Radyo Natin, the largest network of community radio stations with over 100 small FM stations throughout the country. As part of MBC’s integrated media approach, the longest running AM radio station is now on television. RHTV is a 24-hour cable news channel that can be seen on several cable TV affiliates nationwide as well as on live internet TV streaming. Everyday, millions of Filipinos tune in to the MBC network, for the freshest news, hard hitting commentaries, award winning entertainment, timely and educational information and the most popular music hits. MBC’s mission is to inform, educate, entertain and empower its diverse audience towards positive action. As such, MBC constantly strives not only to meet but even to exceed and redefine existing standards in the Philippine radio industry. More than simply airing a wide variety of programs, MBC constantly plays an active role in improving every aspect of Filipino life.